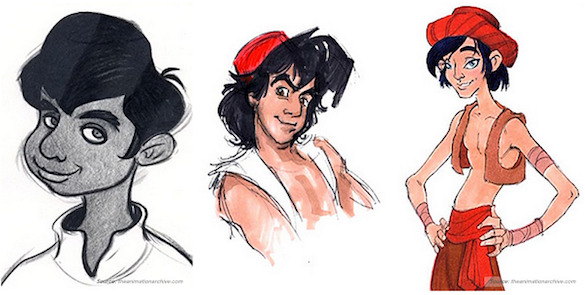 They make it seem like magic, but animators put in hundreds of hours while creating a single character. Take Disney's 2012 film Brave, for example. The fiery archer and heroine at the center of the film, Merida, is known for her head full of wild curls. Artists rendered the blazing ringlets in single strands, hand-placed and sculpted via computer — all 1,500 of them — in order to lend a realistic touch to the design. Disney has always been a stickler for details, which is what makes its films so captivating and its entertainment parks the ultimate dream come true. 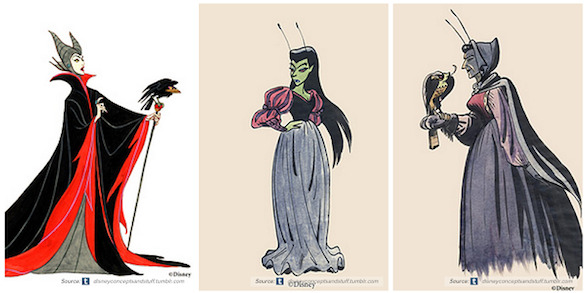 Reddit user Join_You_In_The_Sub collected multiple Disney illustrations that reveal the different concept designs for the company's most popular characters. We've gathered a few of them here for your perusal. 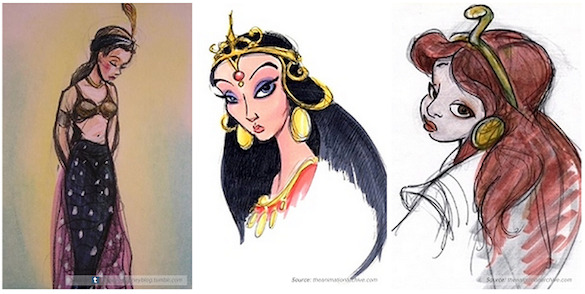 Maleficent, the striking villain in 1959's Sleeping Beauty, resembled more of a hag in her early artwork, while princess Jasmine from Aladdin looked more exotic than her final incarnation. 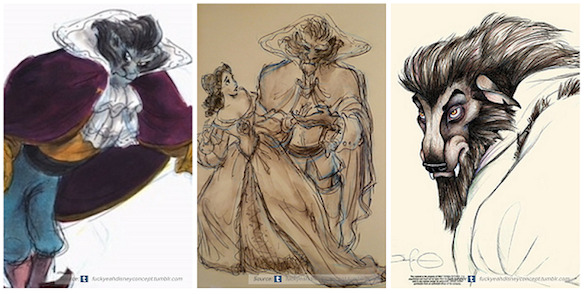 See what you make of these character illustrations, and let us know if Disney got it right in the end.